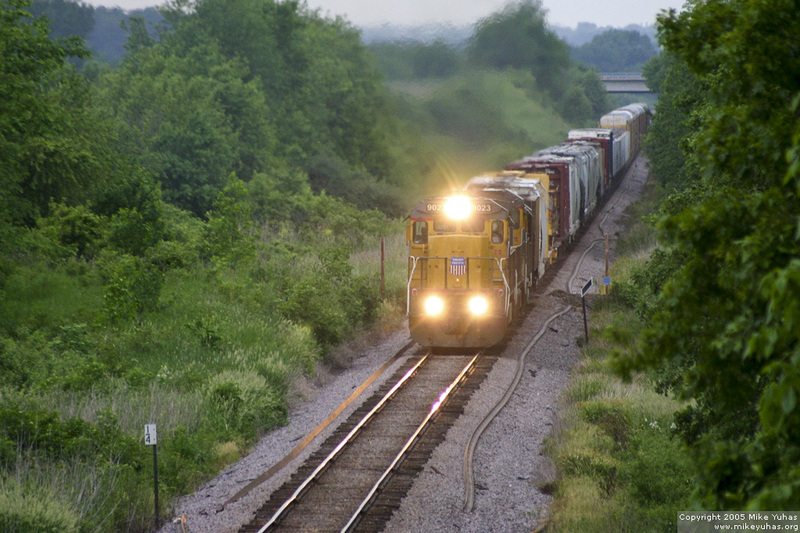 An eastbound UP train a couple miles from Clyman Junction on the Adams Subdivision. The train had authority to run to Rock siding, where it would await the passage of two westbound trains -- and finally arrive Butler Yard at about 11pm. It's passing soon-to-be-installed 133 lb welded rail.